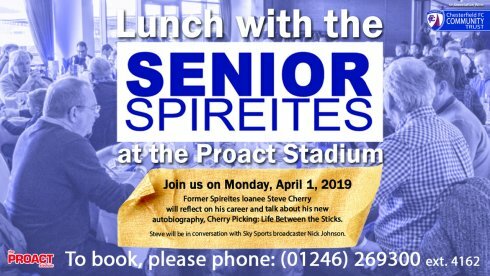 Former Spireites loanee, Steve Cherry, will be reflecting on his career and talking about his new autobiography, 'Cherry Picking: Life Between the Sticks' at our next Senior Spireites Lunch here at Proact Stadium on Monday 1st April 2019. The event costs just £13.95 per person and includes a delicious 2-course lunch served in one of our impressive lounges. 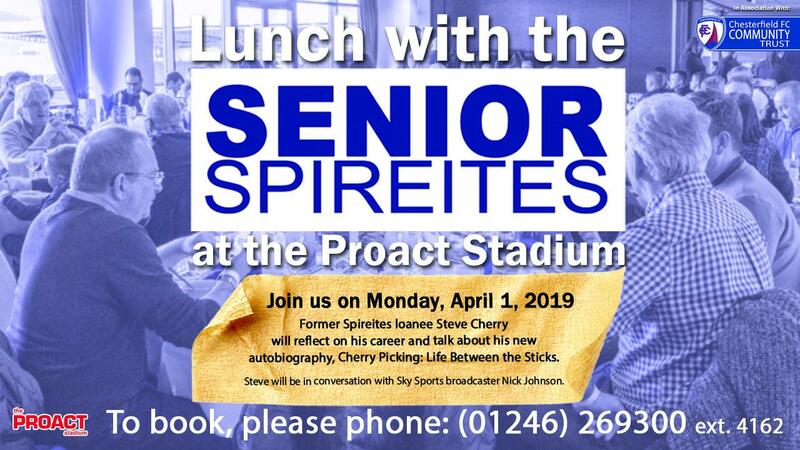 Doors open at 12 Noon and lunch will be served from 1.00 pm. Remember - the offer is open to fans of any age - you don't have to be a 'senior'! Book Now - email events@chesterfield-fc.co.uk or call 01246 269300.